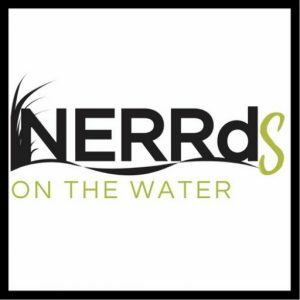 The following is a post from a guest writer to the NERRds! Professor Barbara Blonder has been teaching full-time at Flagler College in St. Augustine, FL for more than 10 years. She received her master’s degree from Florida Institute of Technology in Melbourne, FL where she conducted research on Atlantic stingrays (Daysiatis sabina). Before returning to academia at Flagler College, she had a long and rewarding career as an ecologist, both in marine and terrestrial ecosystems. Her experience includes work as a divemaster and marine science teacher on Andros Island in the Bahamas, and researching the population dynamics of the Spiny Lobster (Panulirus argus) for the Florida Marine Research Institute in the Florida Keys. She then went on to work in the field of conservation ecology, earning numerous certifications in prescribed fire including Florida Certified Burn Boss. Her career in fire ecology began with the Florida Park Service, then took her to the Outer Banks with the North Carolina National Estuarine Research Reserve. Her current research focus has shifted to developing excellence in high-impact science teaching. Professor Blonder has been mentoring students in field-based undergraduate research projects since 2010, both for Capstone course-related work and Independent studies. Flagler College is a four-year undergraduate-only institution with a fledgling undergraduate research program. I undertook a research sabbatical during spring semester, 2016 during which four student research assistants were included. These students spanned the range of first year through senior capstone levels and assisted me with field research in the Guana Tolomato Matanzas National Estuarine Research Reserve (GTM NERR). We learned much about crafting a mutually-successful research and mentoring experience during a sabbatical and this effort was presented at the National Council for Undergraduate Research during its June, 2016 Biennial Meeting in Tampa, FL. Coastal ecosystems face numerous well documented threats which are causing these ecosystems to be both threatened and greatly reduced from their historical extent and area. Most of these threats are caused by humans, ranging from sea level rise and erosion to overdevelopment. Other stressors on these ecosystems have led to adaptations, such as salt tolerance, in many of the plant species found in the Coastal Strand. However, another potential threat is found in many similar southeast coastal plain ecosystems – that of fire suppression. Since we do not know the past and potential impacts of fire in these Coastal Strand ecosystems, we focused on attempting to try to learn more about what potential role fire could play maintaining coastal strand ecosystems. In 2014, the GTM NERR staff conducted a prescribed fire in a section of Coastal Strand in the northern component (in Ponte Vedra Beach, FL), whose fire history was unknown – approximately half was burned while the other half remained unburned. In 2015 and 2016, we compared burned samples to unburned samples to test whether there were differences in patterns of vegetative response to this fire management action. Our analyses indicate that there were significant dissimilarities in plant community biodiversity indicators and between burned and unburned samples – primarily in the backdune sites. In both foredune and backdune sites, vegetative cover changed significantly.